In a normal person, Aorta is the major vessel conducting blood from heart to other parts of the body through its branches. Subclavian artery is one of the major branches of Aorta. 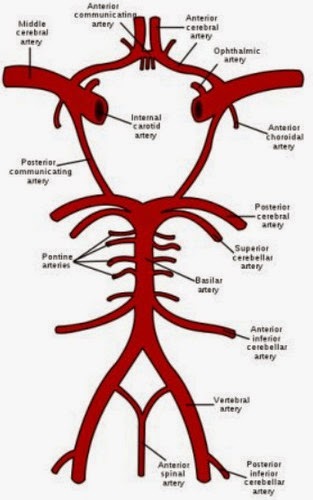 The left Subclavian artery arises directly from the Arch of Aorta, next to the origin of common carotid artery while the Right Subclavian artery arises along with the Right common carotid artery from a common branch of aorta, the brachiochephalic artery. The initiator of Subclavian steal syndrome is narrowing or blockage of Subclavian artery before the point of origin of the vertebral artery due to some reason. This results in increased resistance to the blood flow through the Subclavian artery in the side of blockage. Naturally, the blood flowing through the blood vessels of the opposite side increases taking the easier path and the blood flow decreased on the side of occlusion. There is no problem until the blood flow through the affected side meets the demand of that part of the body. When there is an increase in demand as in the case of exercising the arm, there is dilatation of the blood vessels on the affected side. So, part of the blood reaching the circle of Willis from the vertebral artery of the unaffected side gets diverted to the arm, through the vertebral artery on the affected side, thus reversing its flow and stealing a part of brain’s blood supply. This is called the Subclavian steal phenomenon. Animation 1 – what happens in Subclavian steal syndrome? Any disease condition that can result in the narrowing or blockage of the Subclavian artery to an extent leading to the reversal of blood flow through vertebral artery and the neurological symptoms can cause Subclavian steal syndrome and there are only a few conditions causing it. The formation of plaque in blood vessels due to excessive lipids in the blood, resulting in narrowing and reduced blood flow through the damaged vessel is called atherosclerosis and Left Subclavian artery is the most commonly affected branch of aorta . It is the most common cause of Subclavian steal syndrome and the reason for the involvement of left Subclavian artery three times more than right Subclavian artery. The risk factors of atherosclerosis like smoking, increased blood pressure, diabetes etc, and act as indirect causes of Subclavian steal syndrome. Abnormal development of the artery by birth as in Interrupted Aortic arch, thoracic aortic dissection etc. Most of the people with a blockage of Subclavian artery lead their life without any symptoms and thus without knowing about the presence of a problem. But Subclavian steal phenomenon can be called as Subclavian steal syndrome only if the following symptoms are present. Blood Pressure :- In a normal person, the blood pressure recorded on both arms are equal. In Subclavian steal syndrome, the blood pressure recorded in the affected arm is lower than the unaffected side and the difference is greater than 25 mm Hg. It is highly uncommon for Subclavian steal syndrome to present without any effect in the blood pressure. If there are neurological symptoms similar to Subclavian steal syndrome with equal blood pressure on both arms, one must think about proximal vertebral artery obstruction. Doppler ultrasound shows the reversed flow of blood in the vertebral artery. Though the obstruction in the proximal segment of Subclavian artery is not clearly visualized the probe, the blood flow in the distal segment shows a characteristic pattern called parvus tardus waveform. 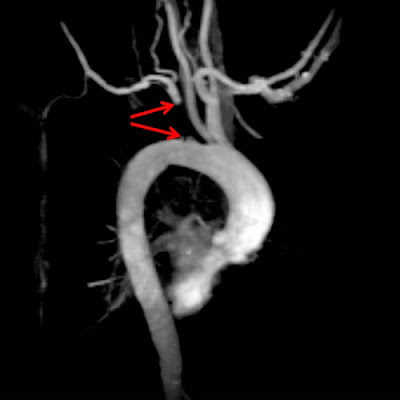 CT angiography is an excellent modality to visualize the obstruction and other lesion in the Subclavian artery. In this process, a contrast agent containing iodine is injected which trace the path of blood flow. 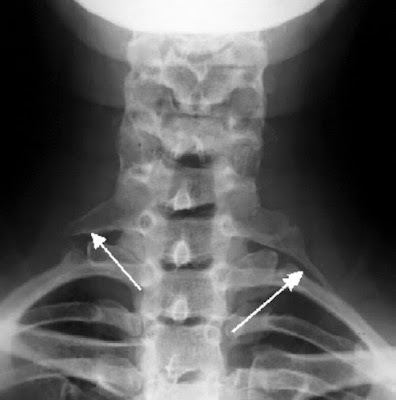 The enhancement of the vertebral artery on the affected side is delayed. When there is a plan to treat the condition simultaneously by one of the catheter based techniques, a 4 vessel arteriography is the choice of imaging. This is the choice of visualizing the lesion in people who cannot tolerate the contrast agents due to kidney diseases. But MRI overweighs the occlusion, resulting in more false positive results. Electrocardiogram : to diagnose co existing heart disease caused by atherosclerosis. 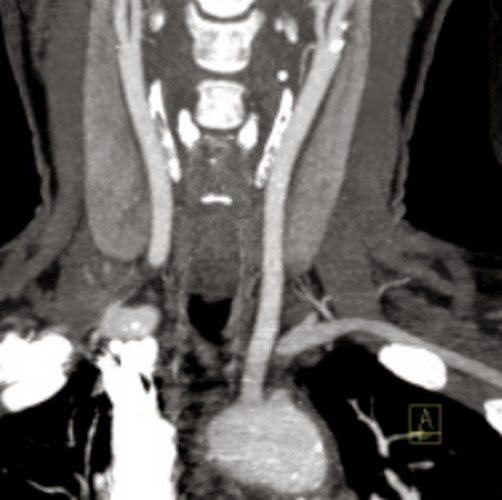 The treatment modality of Subclavian steal syndrome is mainly surgical and is reserved for people with severe symptoms and chronic obstruction of the Subclavian artery. Surgery is done to relieve the obstruction of the Subclavian artery and restore the blood flow of vertebral artery towards the brain. The surgical modality gaining popularity is Endovascular surgeries which avoid all the cutting open and involves clearing up of the obstruction from inside the blood vessel using a catheter. It can be done as an outpatient procedure and the recovery period is reasonably short with fewer complications during and after the surgical procedure. The recurrence rate is very low. These are the common way of treating a proximal Subclavian artery block. Stenting is a process in which a prosthetic material is used to widen the occlusion and is retained in the spot to maintain the blood flow. In balloon angioplasty, an inflatable balloon is introduced through the catheter and the balloon is inflated at the narrowed part which widens it. The efficacy of both the procedures is fairly similar. Primary Stenting of Subclavian artery is the treatment of choice. In this procedure, the blood flow is rerouted to the arms by bypassing the obstruction. This can be done by using a prosthetic bypass or using the saphenous vein from the same patient. Once the normal blood flow is restored in the vertebral artery, the prognosis is excellent. 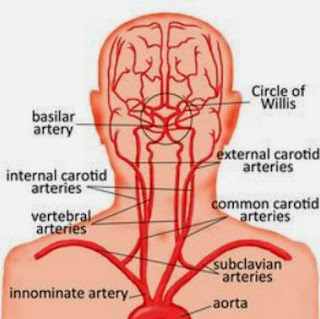 It is another surgical method in which the Subclavian artery is transposed to a new spot on the side of common carotid artery. No prosthetic material is needed for this procedure. But this procedure involves operating in a field with many other important structures and meticulous care should be taken not to injure them. Endarterectomy is a procedure which involves opening of the chest, accessing the obstructed part of the artery, opening it and removing the plaque. This results in widening the obstructed segment and restoring the blood flow. This method is no longer followed because of the failure rates and the post op complications and the mortality rate and the recurrence of the obstruction. 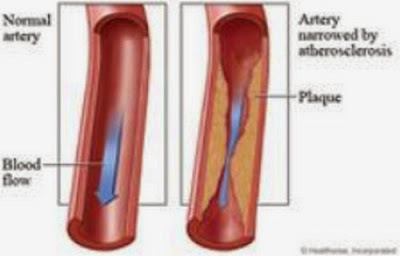 In patients with atherosclerosis, oral antiplatelet medications are prescribed for life long to prevent the recurrence of atherosclerotic plaque and to prevent other diseases like heart attack and stroke which are also fairly common with atherosclerosis.